A deluxe finishing Commercial complex in Tunis Street in Hawally Area on a plot area of 2040 m2. It consists of Basement 1 used as car park, Basement 2, Ground and Mezzanine floors containing commercial shops. 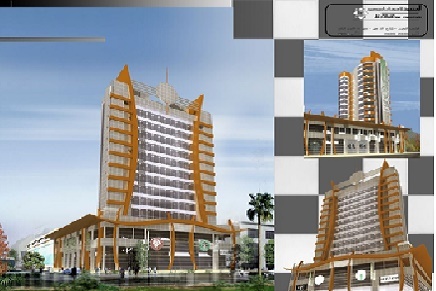 It also consists of a first floor containing offices and a tower of 10 typical floors containing commercial offices also.